My last post talked about New year’s resolutions. One of them, under my workout goal, was to eat good food. This dish is good food, and was definitely worth what I’m sure was a big splurge in calories. 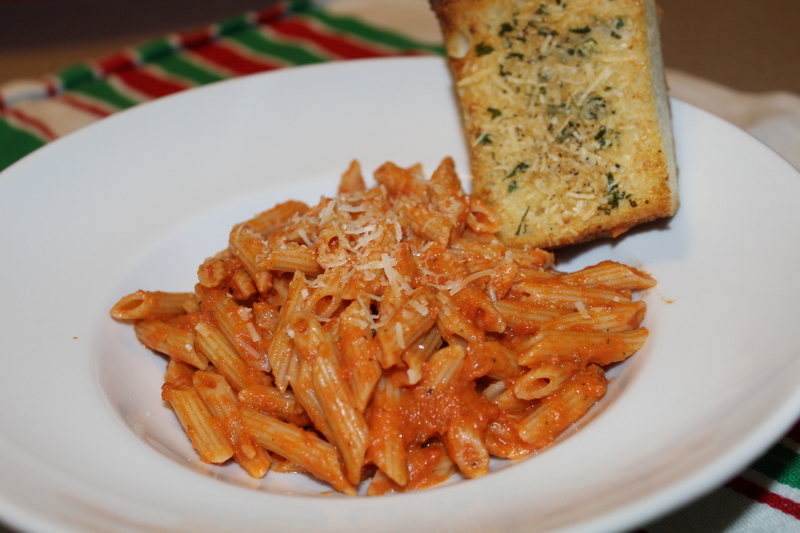 Giada’s never steered me wrong before, so I used her vodka sauce recipe here. I started with my favorite marinara sauce that I used in both my Spaghetti with Meatballs and Mushroom Ravioli recipes. From there, I used my new immersion blender (a Christmas gift!) to make the sauce creamy and smooth. 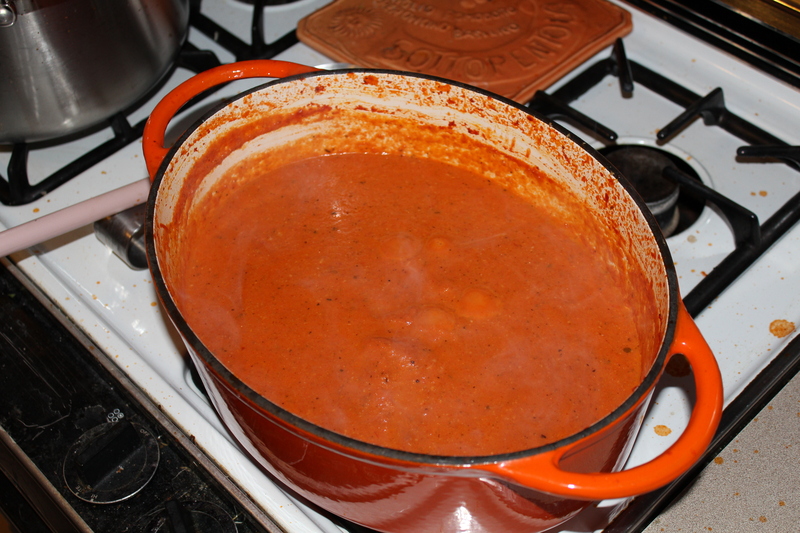 I added the cup of vodka and let the sauce simmer for a while – probably 15-20 minutes. It probably goes without saying, but you don’t need to use the best vodka ever here. It just cooks out anyways. Once the vodka has dissipated some, stir in the cream and Parmesan cheese. I let the sauce cook for a while to make sure all the cheese melted. If not, you’ll end up with a sauce that is kind of a weird grainy-like texture. When the sauce is getting close to ready, cook 1 pound of penne (I used mini penne, or piccolini penne, as it’s called) as it calls for on the package. 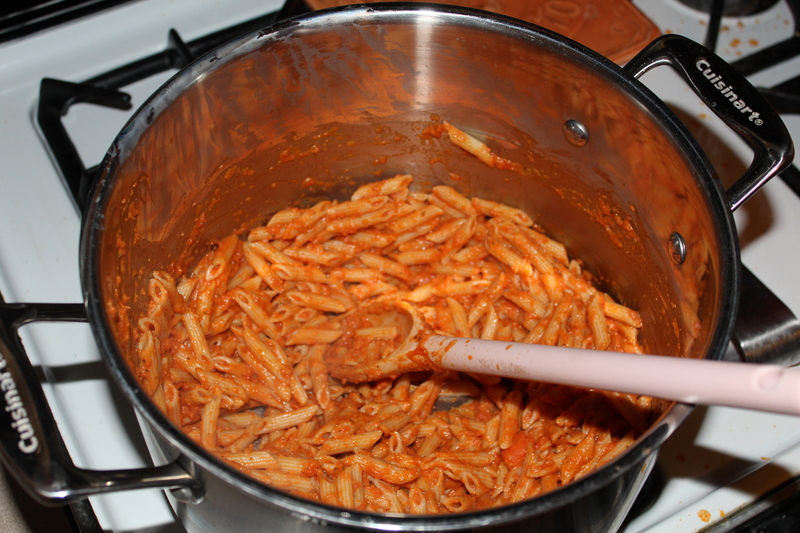 Once cooked, add the pasta to the sauce. As a quick side, I cut up a baguette, melted about 1 tablespoon of butter, and brushed it onto the bread. 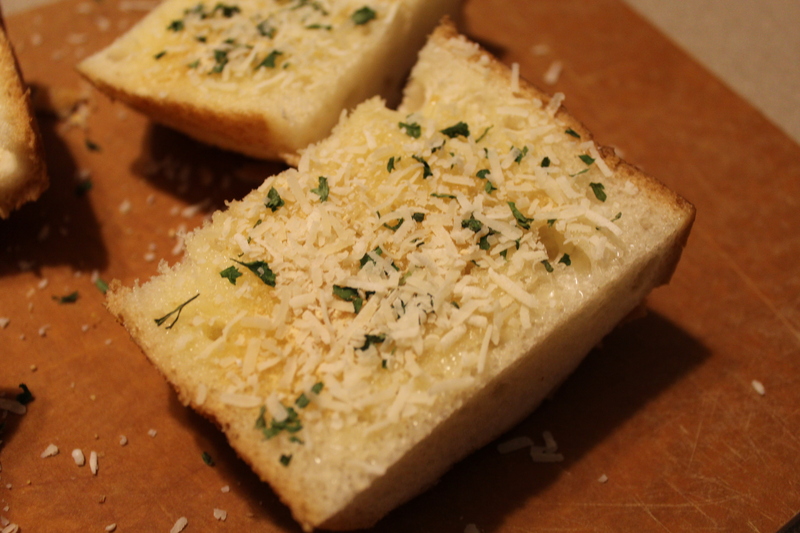 I sprinkled some garlic powder, black pepper, and Parmesan cheese on top. 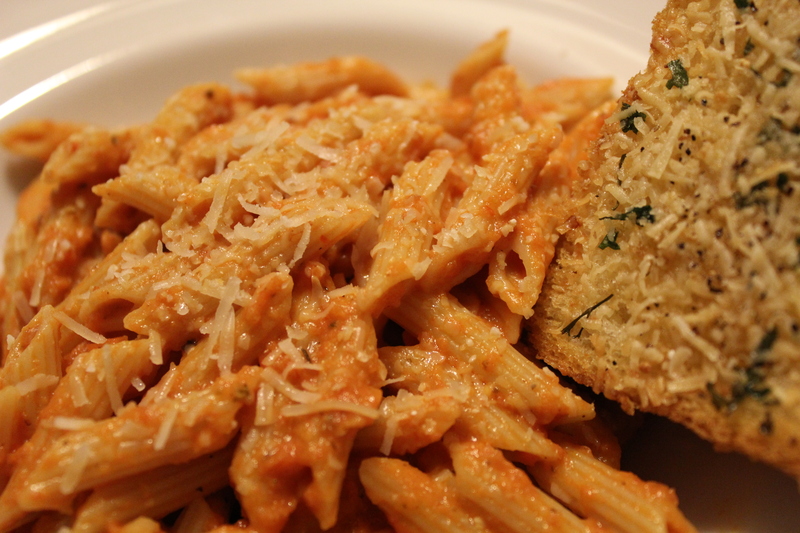 Bake at about 350 degrees just until the cheese melts, and enjoy an easy side with the pasta. There were a ton of leftovers. This recipe makes a ton of sauce, and we only used half of it. We froze the other half to keep it from going bad. I’m thinking I’ll use it for an easy weeknight dinner in a couple weeks.